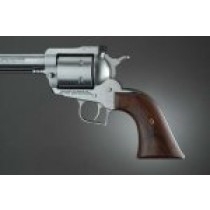 Cowboy Grips add individuality and a custom look to any Cowboy Action revolver. This grip is oversized and will require fitting to the gun's grip frame. This grip will only fit pre-2006 models without the internal lock. This grip will not fit older or newer XR3 frames. Grips include grip screw for mounting.